These fabulous blueberry biscuits are finished with a lightly spiced butter and sugar topping. 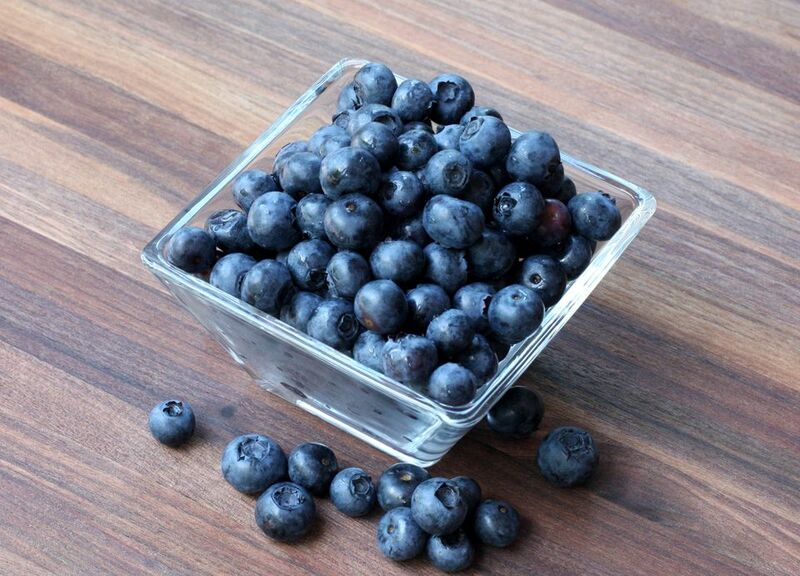 Use fresh or frozen blueberries for this recipe. Position a rack in the center of the oven. Heat the oven to 400° F (200° C/Gas 6). Mix 2 cups of the flour with the sugar, baking powder, lemon peel, salt, and soda in a large bowl. Cut in shortening until mixture resembles coarse meal. Whisk egg and buttermilk until well blended; stir into the flour mixture. Stir in the frozen blueberries. Sprinkle remaining flour on the countertop. Scrape dough out onto the flour. With floured hands, gently knead 6 or 7 times, just until dough begins to hold together. Pat dough into a rectangle or round 1/2-inch thick. Cut out rounds with a floured 2-inch cutter or glass. Place biscuits 2 inches apart on the prepared baking sheet. Combine topping ingredients and brush over the warm biscuits.